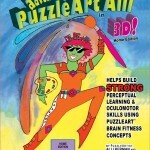 PuzzleArt International presents THE colorful and FUN 3D approach to therapy. Developed by Susan Fisher, OD and PuzzleArtist Alli Berman, PuzzleArt Therapy™ is the first and only therapy that combines Binocular AND Perceptual Therapy, using interactive 3D abstract fine art at its core. 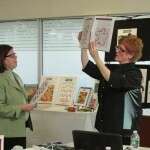 Visit the Training page to get your FREE PuzzleArt Training Activity book. Scroll to the bottom of the page and click the download link.